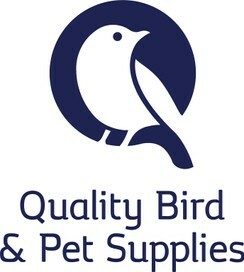 QUALITY BIRD & PET SUPPLIES has been operating since 2009 and has over 20 years of experience behind it. We offer advice with all your Avian requiremen­ts from housing to healthcare­. Also Boarding service available. We have been breeding birds for over 20 years and know the importance of quality. Hence the name QUALITY BIRD & PET SUPPLIES. Our service is available to you weather you own a bird or are thinking about becoming a bird owner. We can help with all specific specification in setting up an aviary or cage situations. We are able to offer advice on the Health and Welfare of your birds, so if your bird has started plucking or displaying a different type of behavior give us a call we are more than happy to have a chat and help you with your needs. We also offer a Boarding Service (Auckland Only) for birds, so if you are going away on holiday your bird will be in the best hands. For prices and availabilty please phone or email. Feel free to phone, email or check out our Website. Mark and Veronica are the most two delightful people to deal with, friendly and efficient. Their products are exceptional. I would highly recommend them to any bird enthusiast. excellent to deal with, would recommend to anyone who has parrots, Mark is very helpful, and has good advice if you have any questions, service is orsome, and prices are good.